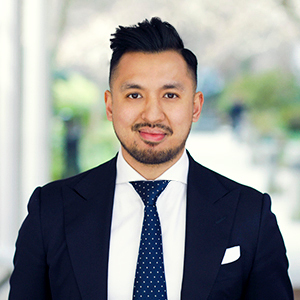 Passionate New York City real estate expert Bryan Atienza is astutely aware of real estate's ability to transform communities and build wealth. He credits entering the profession at the age of 18 with forming this holistic and broad understanding of the industry. Since then, he's accumulated an impressive array of experience handling investment sales, residential and retail leasing, plus traditional condo and co-op listings. Today, he's known for his skill in major multi-family deals, especially sell-side representation of ground up construction and conversions. Bryan is a firm believer in long-term plays with a focus on impact investing that is both socially cognizant and profit-driven. In fact, he considers it his service to the community. In that vein, he has assembled and advised a joint venture to major nonprofit organizations responsible for acquiring and developing a 160,000-square-foot mixed-use project that includes community facilities, schools and affordable housing. He also works with a privately held family office focused on raising capital, acquiring and developing distressed and value-add properties. In college, he was part of a select group of students asked to assemble research data to help investors acquire an office building, advise on repositioning tenants while also adding hotel and condo components. And, he and his family have accumulated significant real estate holdings in South East Asia, specifically Manila, Philippines, and he travels to that region at least once a year to manage and expand to those holdings. Here in New York, Bryan has a particular specialty in the East Village, Lower East, Williamsburg and Greenpoint, where breakthrough projects have led to his success in amassing a 760,000-square-foot portfolio of mixed-use residential, retail and hospitality projects within an 18-month period. Bryan holds a bachelor's degree in real estate with a focus in finance & development from NYU’s Schack Institute of Real Estate.